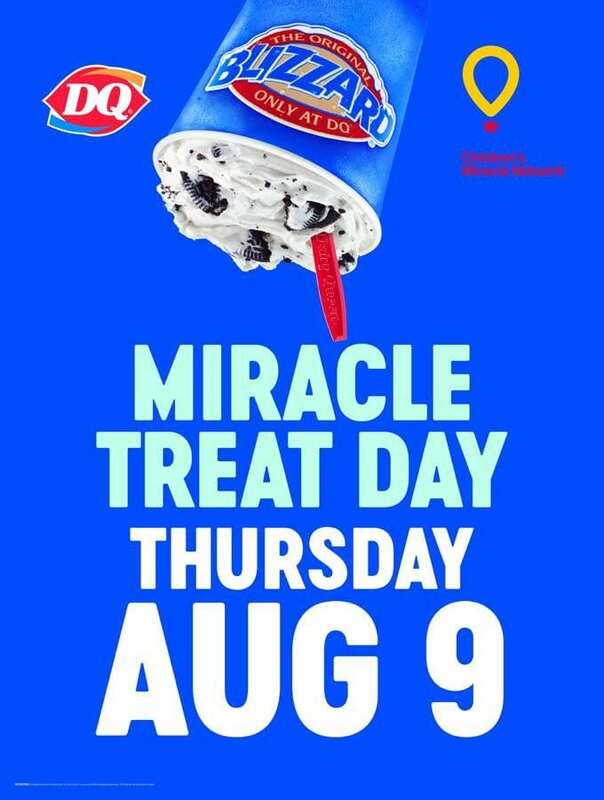 Mark your calendars for Miracle Treat Day at Dairy Queen! – Dairy Queen Corp.
Mark your calendars for Miracle Treat Day at Dairy Queen! Get ready for a cold front! Miracle Treat Day is forecast to hit the United States on August 2 and Canada on August 9 and both days raise funds and awareness for 170 children’s hospitals across the U.S. and Canada with the help of Dairy Queen®. On Thursday, August 2, $1 or more from every Blizzard® Treat sold at participating U.S. Dairy Queen® locations will be donated to CMN Hospitals. 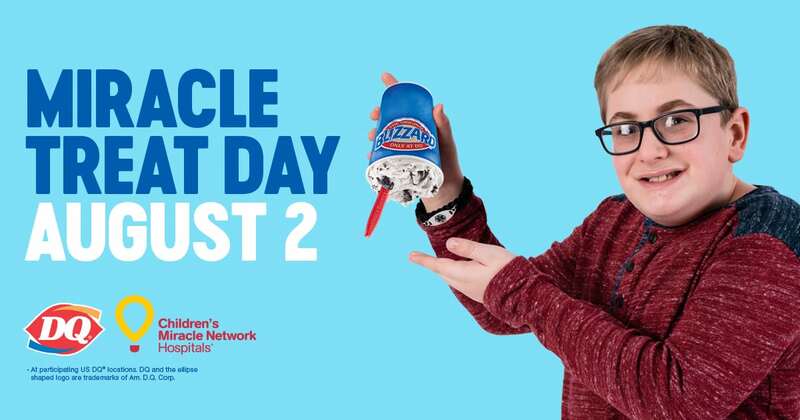 On Thursday, August 9 in Canada, net proceeds from Blizzard® Treat sales at Canadian Dairy Queen® locations will be donated to local children’s hospitals through Children’s Miracle Network. Funds raised go to help children like pediatric patient Teddy. Teddy is a 10-year-old patient at Cohen Children’s Medical Center in New York who is treated for hydrocephalus, a buildup of fluid in the brain. The condition results in problems with short-term memory, physical deficits and other neurological conditions. Teddy was recently named the honorary Chief Blizzard Officer of Dairy Queen in part to commemorate Dairy Queen’s 13th annual celebration of Miracle Treat Day. Teddy’s role as Chief Blizzard Officer allows him to help spread the word about how charitable funds raised by Dairy Queen’s fans and franchisees help kids just like him. Share your favorite Blizzard® flavor with us on social media by using the hashtag #MiracleTreatDay. Since 1984, the Dairy Queen® system has raised more than $130 million for CMN Hospitals through fundraising efforts including Miracle Treat Day, the Miracle Balloon campaign and other local initiatives. Next post: (Miracle) TREAT YOURSELF!